On Friday, March 1st, we hosted our friends from Gestalt IT and participated in the eighteenth rendition of Storage Field Day. It was a jam-packed event, featuring eight companies and twelve delegates, many of whom we were pleased to welcome back to Cohesity. After all the planning, plotting, and late night work on slides and demos, my fellow Principal Technologist, Chris Colotti, kicked off our two hour portion of the event with an overview of Mohit’s vision and how far we’ve come in only a little over 3 years. We were particularly excited this year as SFD18 happened shortly after our public announcement of the ability to run secondary applications on Cohesity DataPlatform and the new Cohesity MarketPlace. Now, we could talk about the realization of the vision to bring compute to the data, and allow customers to gain real value from the data in DataPlatform. (For those of you interested in how consistent Mohit has been with respect to the vision, check out Storage Field Day 8 back in October 2015, and at 10 minutes in how he talks about bringing compute to the data). Next, our Chief Architect, Apurv Gupta provided a deep dive of SpanFS, as that is key to our unique capabilities and the foundation for how we’re executing on our vision. 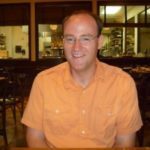 He took the SFD18 delegates to the lowest levels of our distributed file system and then brought them back to the present and showed how the architecture has always supported the ability to run applications. As expected, this sparked conversation with the delegates in the room, as they were interested in the technical specifics that enable running applications on the data. You can watch this portion of Storage Field Day here. With the SpanFS deep dive as a foundation, we transitioned to Anand Nadathur, Senior Director of Product Management, and dove into our scale-out NAS capabilities. As expected with SFD delegates, an animated discussion of the storage capabilities ensued! This is what I love about Tech Field Day – the ability to exchange technical views with an experienced set of delegates with a diverse range of opinions. Because SFD wouldn’t be SFD without demos, we did live demonstrations of our NAS capabilities, including cloning nearly 1TB of data, instantly, and changing the protocol used to serve the data. Check out the demos and hear the discussion from this portion of Storage Field Day here. Now, backup and recovery was the first use case that Mohit presented all the way back at SFD8 in 2015. And as we’re always innovating in that area, we had a lot of new data protection capabilities to talk about since our last Gestalt IT event (Cloud Field Day 4, in August 2018). We demonstrated some of our latest WORM features in the platform. Now, backup is just expensive insurance policy if you can’t restore when and where you need it. I know as a former admin that whenever I had to do a restore, I had a lot of stress around it’s completion in a timely manner. This is one of the greatest strengths of Cohesity – instant mass restore. And this couldn’t be more relevant in today’s ongoing battle against ransomware. So one of the most exciting demonstrations Chris and I were able to do was to showcase Instant Mass Restore from a VMware environment performing with instant recovery of 60 virtual machines in the face of a mock ransomware event. Check this demo and discussion out here. Last, we transitioned to Sidharth Mishra, Senior Product Manager, who gave a technical walkthrough of the MarketPlace and gave a live demonstration of Splunk running on Cohesity! Once again, the delegates were highly engaged, asking how the entire technical system worked and what to expect in future application releases for the platform. Check this demo and discussion out here. Unfortunately, we had reached the end of our two hours with the delegates. 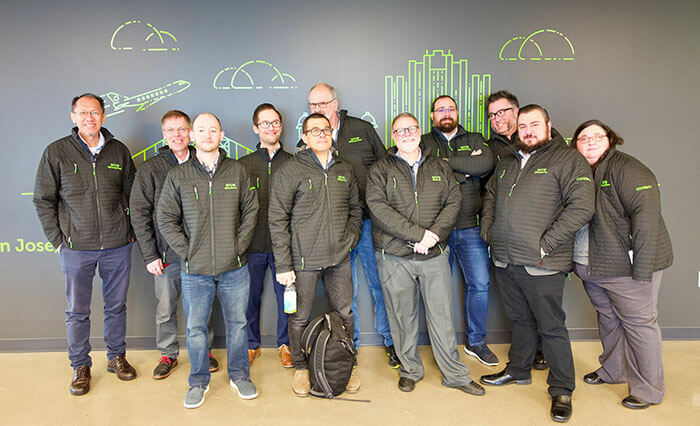 As a token to celebrate the event, we provided each delegate with a personalized jacket bearing the Cohesity logo, along with their name, Twitter handle, and the hashtag designation for the event (SFD18). Some of the delegates were just as excited about the jackets as they were about the MarketPlace! And finally, keep an eye out for another event coming up soon – We are pleased to be presenting at Cloud Field Day 5 on April 11th, 2019! We’ll look forward to another set of lively discussion and exchange then.